Have you heard about the amazing healing benefits of coconut oil for your dogs? Maybe you’ve heard your friends or coworkers mention that they are adding coconut oil to their daily diet and for good reason. Dogs love this tasty treat! Coconut oil provides numerous health benefits to humans and their dogs! It benefits all systems of the body! From the immune system and digestive system to the brain and metabolic functions, coconut oil packs a great punch. Coconut oil helps dogs lose weight. A mobile dog is a lean dog and coconut oil promotes just that – mobility. Senior dogs and dogs with arthritis or other bone or joint disorders tend to slow down. Coconut oil balances and regulates insulin. You can help prevent diabetes in your dog with one teaspoon a day. Coconut oil does wonders for your dog’s skin. Say good bye to eczema, contact dermatitis and other skin ailments. Coconut oil moisturizes your dog’s skin. No more scratch, scratch, scratching. 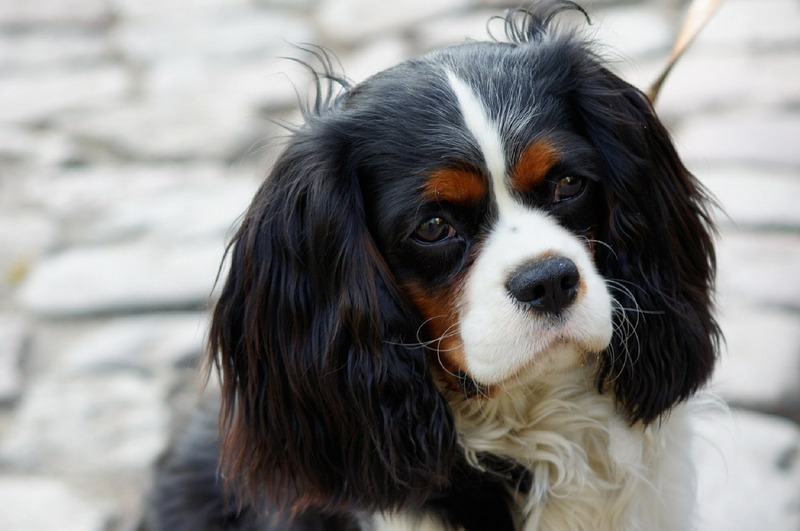 Your dog’s hair might end up even glossier than yours. Coconut oil will help eliminate your dog’s bad breath! It has amazing antibacterial and antifungal properties. Coconut is a natural healer. No need for chemical laden salves and lotions! Coconut oil promotes healing for wounds, stings, bites and hot spots. Ahhh… relief! 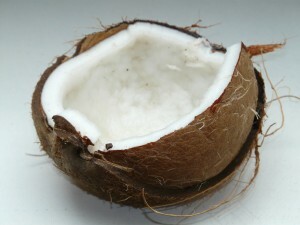 Coconut oil promotes proper nutrient absorption and aids digestion. Win, win! Coconut oil keeps your dog’s brain sharp. In fact, it helps prevent dementia in humans and dogs alike. We know you‘re just itching to get started but you must exercise caution as you get started. It is highly recommended that you start slow. If you don’t, you could cause your dog some digestive and detox problems. Symptoms of rapid detox include: flu-like symptoms, lethargy, headaches, and diarrhea. You’re probably thinking “Ok, how much should I start with then?” Good question. Start with about ¼ of a teaspoon each day and then gradually increase the dose. You can give the coconut oil to your dog in liquid or solid form. You can also give a few coconut flakes as a treat. See what your dog prefers. After your dog gets accustomed to taking it, a general dosing guideline is one teaspoon for every ten pounds your dog weights. So a fifty pound dog would receive 5 teaspoons each day. Again, start slow! Also, don’t give them the entire 5 teaspoons at once as that could be great cause for an upset tummy. Spread the doses throughout the day. So, go ahead and grab some coconut oil for you and your dog. Whether you and your dog ingest it or use it topically, (we recommend both) coconut oil is sure to provide some amazing healing benefits to both of you! Do you currently supplement your dog’s diet with coconut oil? How’s it going? Tell us!